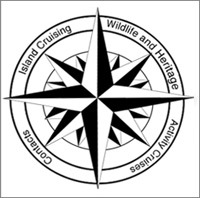 Island cruises take you to remote Islands around the Hebrides or Western Isles of Scotland as they are also known. We specialise in trips to St Kilda and some of the following Islands en route, Scarp, Taransay, Monach Isles and the Flannan Isles. The trips are either of 4 days or 6 days duration and the itinerary is worked out as we go along. North Rona, Sula Sgeir and the Shiant Isles can also be visited, as can Mingulay and the Southern Isles if a group so wishes. The weather plays a major part in the itinerary but we endeavour to provide what we set out to do. St Kilda is notoriously difficult to visit because of the weather, but the beauty of a 4 or 6 day Island Cruising trip is that we can choose the best weather window to ensure we make it out to the Islands. Our guests also have the luxury of on-board accommodation so we can stay as long as possible to enjoy the breathtaking scenery of Hirta and Boreray. What could be better than wakening up to such spectacular scenery on your doorstep and then rounding off your day with a St Kilda sunset. Full board on the MV Cuma includes Scottish breakfast, lunch, dinner, teas and coffees, prepared by the Cuma's superb cook. The boat has six twin cabins with duvets, linen and towels provided, and each with hot and cold water and central heating. There are also three toilets and two showers. Open air seating as well as a comfortable covered deck saloon provides excellent areas for eating and viewing. See Availability for trip dates. On our cruises we have been lucky to see the following marine and coastal species. Otter, White tailed eagle (once depositing a fish on a nest), Golden Eagle Peregrine Falcon and Merlin. Sea birds can include petrels, puffins, shearwaters, guillemots, fulmars and gannets to name a few and of course the huge bird colonies on St Kilda and the Flannan Isles. If we are lucky we may also see Minke whales, Orca, Basking Shark, Bottlenose Dolphin, White Beaked Dolphin, Common Dolphin and Risso's Dolphin. There have also been rare sightings of Sunfish and a Leatherback Turtle. Please feel free to contact Murdo if you would like more information.